Palmerbet Sports Team’s Premier League Preview has EPL Tips for every match of Week 26, including a pivotal heavyweight clash between Manchester City and Chelsea. Final Thoughts: Second-last Fulham came back to earth after their season-best 4-2 win over Brighton in Week 24, crashing 2-0 at Crystal Palace last weekend. They are seven points from safety and running out of time to avoid the drop. After showing some late-December defensive resolve, the Cottagers have conceded 12 goals in their past five games. The best Fulham have managed in their last 11 clashes with United is two draws. The Red Devils romped to a 4-1 home win in Week 16 this season. United seem very cautiously priced against a genuine battler – count on the visitors winning comfortably. Final Thoughts: Crystal Palace will be looking to continue their push towards the top half after some handy recent results. West Ham, meanwhile, are searching for consistency. Fourteenth-placed Palace have won four and drawn two of their last nine games, including a 2-0 home defeat of Fulham last weekend. West Ham, who sit 12th, have been performing well against top sides – beating Arsenal in Week 22 and drawing with Liverpool last weekend – but have been poor against lesser opposition. Hammers lost to Bournemouth and Wolves by a combined 5-0 in the fortnight before their surprise 1-1 result against Liverpool. West Ham are unbeaten in their last seven against Palace, including a 3-2 home win earlier this season. Hammers also boast three wins and a draw from their last four visits to Selhurst Park. Palace head in as warm favourites at home and we’re leaning towards them with West Ham losing their last three on the road without scoring a goal. Final Thoughts: Arsenal have gone off the boil lately, but struggling Huddersfield Town should prove an ideal palate-cleanser. The Gunners have lost four of their last nine games, including a 3-1 defeat to Man City last weekend. The Championship beckons for Town next season, unfortunately, as they sit in last place 13 points from safety. Huddersfield have managed just one point – from a scoreless draw at Cardiff – from their last 12 games and lost 5-0 to Chelsea last week. Huddersfield’s last win over Arsenal was in 1971, picking up just two draws in 11 games since. But the last two encounters – including in Week 16 at the Emirates – were won just 1-0 by Arsenal. Worryingly, Arsenal have picked up just two points from their last six away games. But Huddersfield have been held scoreless in their past four outings and the visitors should do the same to the wooden-spooners elect. Final Thoughts: League leaders Liverpool have given up four points in the past fortnight last and will be desperate to bank all three at Anfield in Week 26 with Man City breathing down their necks. The Reds were held to 1-1 draws by Leicester and West Ham after winning 11 of their previous 12. Bournemouth are in 10th spot but are bristling from a woeful 2-0 loss at Cardiff last weekend. The Cherries won their preceding two games against West Ham (2-0) and Chelsea (4-0), giving no indication of the listless performance that was ahead on their trip to Wales. Value is tough to come by here with Liverpool prohibitively short. But Sadio Mane has scored their last three goals and is a handy price to find the back of the net again. Final Thoughts: Southampton are in 16th spot – just two points ahead of 18th-placed Cardiff City. Will the clubs look back on this clash at the end of the season as a turning point in their battle for EPL survival? Southampton are on a five-match unbeaten run, chalking up back-to-back 1-1 draws against Palace and Burnley on the back of consecutive wins over Leicester and Everton. Cardiff lifted their confidence levels with a 2-0 home victory over Bournemouth last weekend to end a four-match winless trot. Cardiff scored a 1-0 win over Southampton at home in Week 16, the sixth time in nine matches the teams have produced totals of under 2.5. Cardiff City’s dismal away record – one win and two draws from 12 games, with a -16 differential – makes them hard to get on board with on the road. Lean towards Southampton and a low total. Final Thoughts: Eighth hosts ninth as the race to finish in the top half continues. Watford have suffered just two losses in their last 10 games, though they would have liked to have turned a couple of their five draws during that period into wins. They played out a scoreless stalemate at Brighton in Week 25. Everton have lost seven of their last 10 games and are on a short turnaround from their 2-0 midweek loss to Man City in an early Week 27 fixture. They also crashed 3-1 to Wovles at home last weekend. Despite a woeful overall record in the rivalry, Watford have managed two win and three draws in their last seven encounters with Everton. The teams drew 2-2 at Everton earlier this season, while Watford prevailed 1-0 at home last season. Two of Everton’s away wins this season have come in their last four games on the road, but the Toffees are too inconsistent to get behind. Meanwhile, the Hornets’ poor goalscoring form of late is a concern. Look to the draw or the under in this one. Final Thoughts: Brighton have been treading water in 13th for a couple of months, but have only managed one win in their last 10 games. They drew 0-0 at home to Watford last weekend after losing their previous three games, while they accounted for West Brom 3-1 in an FA Cup replay midweek. Burnley are only two points above the relegation zone in 17th, despite their current six-match unbeaten streak. They have drawn three straight against Fulham, Watford and Southampton, with a 94th-minute Ashley Barnes penalty salvaging a point against the Saints. Burnley’s 1-0 win over Brighton ended a run of five straight draws between the sides. Both encounters last season finished in scoreless stalemates, while only one of their last eight clashes have produced more than two goals. The Clarets’ value is too good for us to pass up in this one. 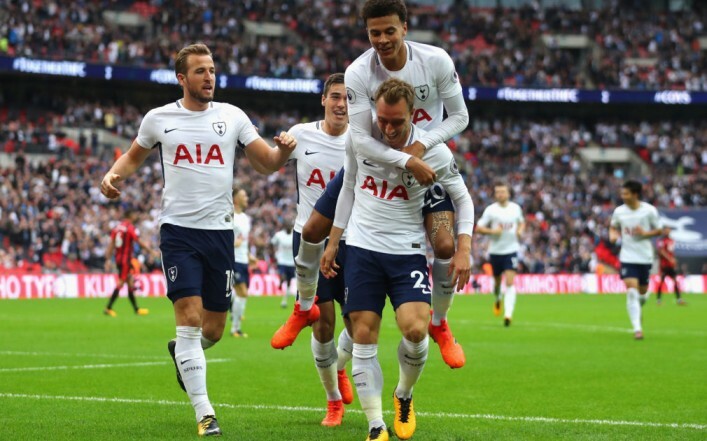 Final Thoughts: Tottenham have a handy buffer in third spot, but they will be eager to keep winning and stay in touch with Liverpool and Man City. Spurs have won their last three against Fulham, Watford and Newcastle, though each was by a one-goal margin. Leicester are in a bit of a hole despite drawing at Liverpool at couple of weeks ago, losing three of their last four games. The mini-slump has seen them drop to 11th in the midtable logjam. It shapes as a tough affair but Tottenham – who haven’t scored a first-half goal in their last four games – should get the job done eventually. Final Thoughts: Manchester City have won six of their last seven games, putting their slip-up at Newcastle firmly in the rearview mirror with victories over Arsenal (3-1) last weekend and Everton (2-0) midweek. Chelsea have been wildly up and down, going down to Arsenal (2-0) and Bournemouth (4-0) before trouncing Huddersfield 5-0. They are clinging to fourth but Man United are only two points behind. Chelsea snapped a run of three scoreless losses to Man City with a 2-0 upset at home in Week 16. But City are 3-1-1 in their last five home games against the Blues. The Citizens have won 12 of their 13 home games this season, while Chelsea have lost four of their last seven on the road. A typically clinical City display should be too much for the Blues. Final Thoughts: Seventh-placed Wolverhampton have opened up a four-point gap between themselves and the chasing pack. They have won three straight against Leicester, West Ham and Everton, scoring 10 goals in the process. Newcastle are 15th, just two points ahead of the drop zone, despite thumping Cardiff 3-0 and rolling Man City 2-1 a couple of weeks back. They went down 1-0 to Spurs at Wembley last weekend. The teams’ last four clashes have been split two wins apiece, with Wolves bagging a 2-1 away win in Week 16 this season. Newcastle are unbeaten in their last four at Wolverhampton. The Magpies have picked up just one point from their past four away games and in-form Wolves are hard to back against at home. But the over shapes as the better-value play here.